Spain is famous for its friendly inhabitants, relaxed lifestyle, its cuisine, vibrant nightlife, and world-famous folklore and festivities. Not to mention its history as the core of the vast Spanish Empire. We have organized activities to witness each of these aspects and has your final test, the last day of our retreat will be you as a group, choosing what you prefer and putting together the itinerary for this day. Once we are all settled in, we will enjoy a nice stroll through town getting to know our neighbourhood for the week. Before heading home, we will see which restaurant tempts us for dinner. You can't fail to notice this impressive castle situated on an outcrop over looking Alicante City. Today we will enjoy a tour of the castle as well as lunch in the castle. Santa Barbara is one of the largest medieval fortresses in Europe and covers the complete summit of the Benacantil Mountain. 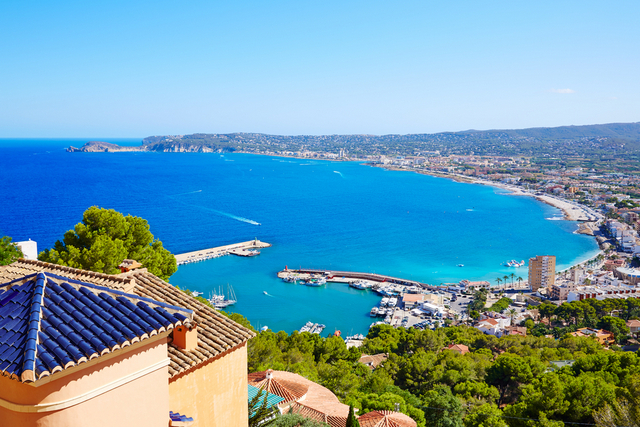 Once at the castle we will be 166 metres above sea level and you can see almost the entire bay of Alicante. On its slopes have been found archaeological remains of the Bronze Age, Iberian and Roman, but the origin of the fortress is in the late ninth century with the Muslim rule. Today we will discover the coastline of Alicante from Playa de San Juan, during a 2 hour kayak tour. Along the way, we will see natural places and the most precious areas of the Bay and coast of Alicante. For all the art enthusiasts we will enjoy the collection of twentieth century contemporary art at the Alicante Museum of Contemporary Art, hosted in a Baroque town house which also happens to be the oldest civil building in the Old Town of Alicante. There are over 800 pieces of art across three collections at the museum from greats such as Pablo Picasso, Juan Gris and Juana Frances, as well as local artist, Eusebio Sempere, who founded the collection. Today we are in for a treat as we set off to the Canelobre Caves which are located in Busot, a scenic 24km drive from Alicante. Here we will enjoy a guided tour of the caves in the side of the mountain to see the jagged teeth of the stalacites and stalagmites, made all the more dramatic by the coloured lighting displays. The dramatic 70-metre high cave, is one of the tallest in Spain, and resembling a vaulted cathedral ceiling. Not many people know the region around Alicante is a wine-producing hotspot. Day 6 is all about your palate, so we will spend a leisurely day tasting various vintages in the local bodegas (wine cellars), often paired with other regional specialties like olives and antipasti. Perhaps we can even learn a little wine-making history. Feel the passion and energy of Spain come alive on this evening that celebrates 2 of the country's most important traditions—tapas and flamenco.